Let the celebration begin. Oktoberfest has come to Connecticut. 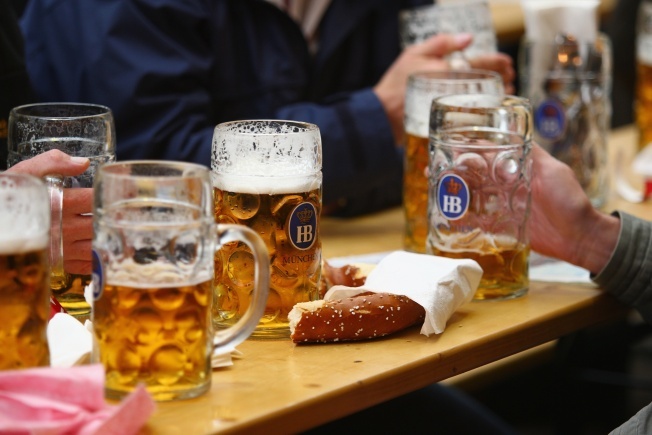 MILLING ABOUT: It's already October and that means we can officially start celebrating Oktoberfest. A month-long celebration kicks off tonight at the Adams Mill in Manchester. All month, diners can enjoy German favorites like knackwurst, Wiener schnitzel and more. And of course, there's plenty of beer specials and wine suggestions to pair with your feast. Early bird specials begin at 4:30 p.m.
PROJECT PUNK: Veterans of the local music scene, Manchester's Project 7, is taking the stage tonight at Zen Bar in Plainville. The band says their influences include everyone from Blink 182 to Journey and Van Halen. Tickets are $5. Show starts at 9:30 p.m.
SEDAKA ON STAGE: It's a story of mistaken identity, friendship and love, all told through the music of Neil Sedaka. "Breaking Up is Hard To Do, the Musical," is playing at the Seven Angels Theatre in Waterbury. The comedy includes classic Sedaka hits like "Calendar Girl," and "Sweet Sixteen." Tickets are $29-$37.50. Call 203-757-4676 for show times.